One of the most popular pastimes in many countries is solving crossword puzzles. Whether people are at home, at school or at work during coffee breaks, answering these puzzles is an entertaining and yet a challenging activity for those who want to kill their idle time. But did you know that we can make money at home through creating and selling crossword puzzles? In this article, I will discuss the fundamentals of creating and selling crossword puzzles and where to sell them. If you want to make money in making crossword puzzles, you should familiarize yourself with different kinds of crosswords such as American, Cryptic and Quick Crosswords, Educational Crosswords and Themed Puzzles. 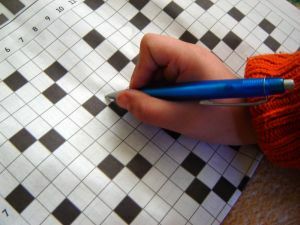 Other kinds of crosswords include Codeword, Sudoku and Sequence Puzzles. However, crossword puzzle markets usually accept American, Cryptic, Quick, Educational and Themed Puzzles. Each market has a different set of submission guidelines for every kind of puzzles they offer. For instance, Games Magazine has a different set of rules for their themed crosswords and another set of guidelines for cryptic puzzle submissions. Some publications require certain programs in creating and submitting crossword puzzles. The Crosswords Club and the Uptown Puzzles requires submissions in Crossword Compiler for Windows. Los Angeles Times Crossword Puzzles requires all versions of Crossword Compiler (CCW), Crossdown, and Across Lite text. Crossword Compiler for Windows are worth around $49 (add-ons are not yetincluded). Where to Sell Crossword Puzzles? Making money in crossword puzzles is not as easy as what you might think. If you want to make money from this opportunity, you must really love solving crosswords and smart enough to create one. You must also have good vocabulary skills and a lot of patience. Most importantly, selling crossword puzzle will not make you rich, unless you become one of the most prolific crossword creators for national and international publications. But if you want to pursue crossword puzzling making as an additional source of income, then you must conduct more research about it and understand the ins and outs of this business. Marilyn Cada is the owner and Founder of onemillionwaystomakemoney.com, a site that shares tips about making money online such as high paying freelance writing gigs and internet marketing topics.